It’s time to show some selfless passion for our country and recall the most glorious chapters of Indian history through some patriotic melodies. 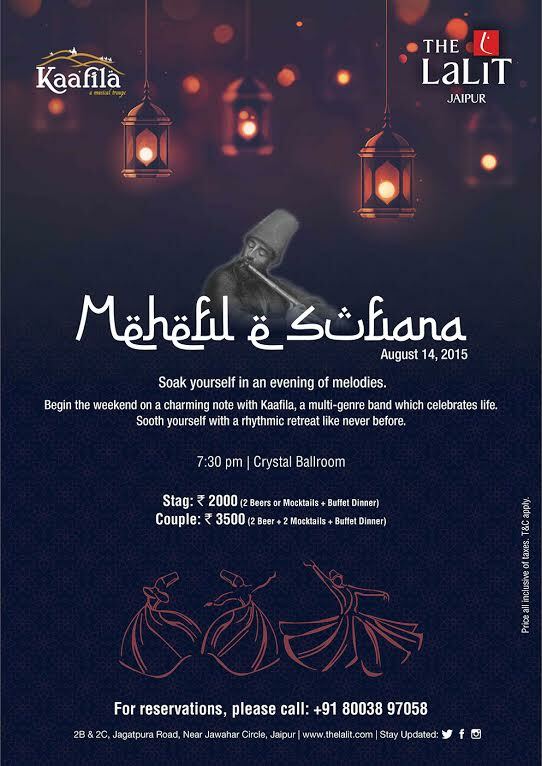 This Independence Day, The Lalit Jaipur is organizing a sufi evening ‘ Mehefil-e-Sufiana’ by Kaafila Band. 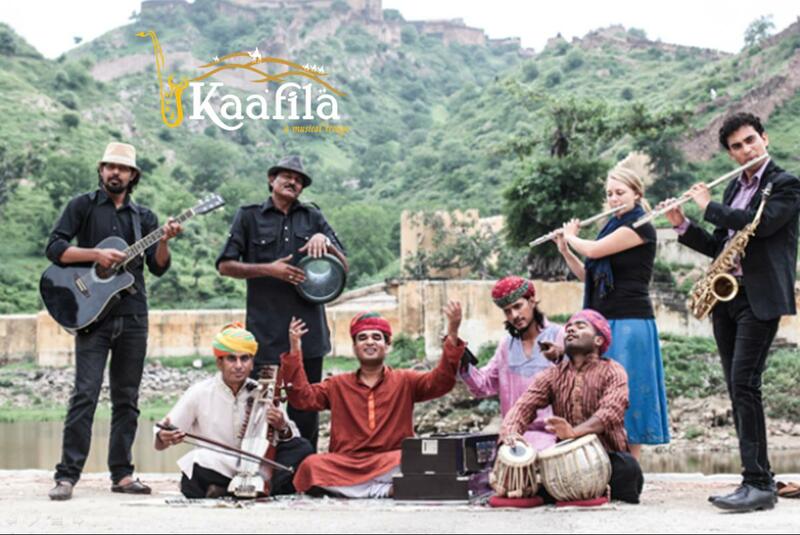 Kaafila is a multi genre band that celebrates life by spreading the sound and rhythm of colourful Rajasthan by its unique style by striking each chord in the hearts of music lovers. If music is your cup of tea, then you can’t miss this fierce play of instruments with calm melodies. Soothe yourself in a rhythmic treat with beverages, buffet dinner and lots more.